A KKK rally. By flickr user Martin. In addition the US State Dept released its 2014 Country Reports on Terrorism and noted in a press release that 24 Americans were killed abroad in such attacks. Do these “body counts” tell us anything useful, and if so, what? How should people assess their government’s performance vis-à-vis terror attacks? Given that more Americans are killed in terror attacks by homegrown hate groups than by foreign terrorist groups, why are we focusing so much more attention and money on foreign elements? It has a lot to do with the potential targets of these attacks. Foreign terrorist groups are likely to be indiscriminate in their targeting, or more likely to target wealthy white Americans (living in cities; working abroad). While home grown hate groups are much more likely to target African Americans. 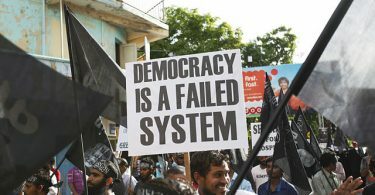 Are such processes general, or are democratic countries particularly susceptible? What sorts of government institutions might address that imbalance? Is the Third Estate culpable? There is interesting work to be done exploring that. Deaths are the most reliable way to gauge how “successful” a violent group is. It certainly does not tell the whole story though. Even though these terrorist attacks may not lead to the ultimate stated goals of the group, these deaths in the US broadcast a cause, recruit new members, push a political agenda, and perpetuate involvement in a movement. 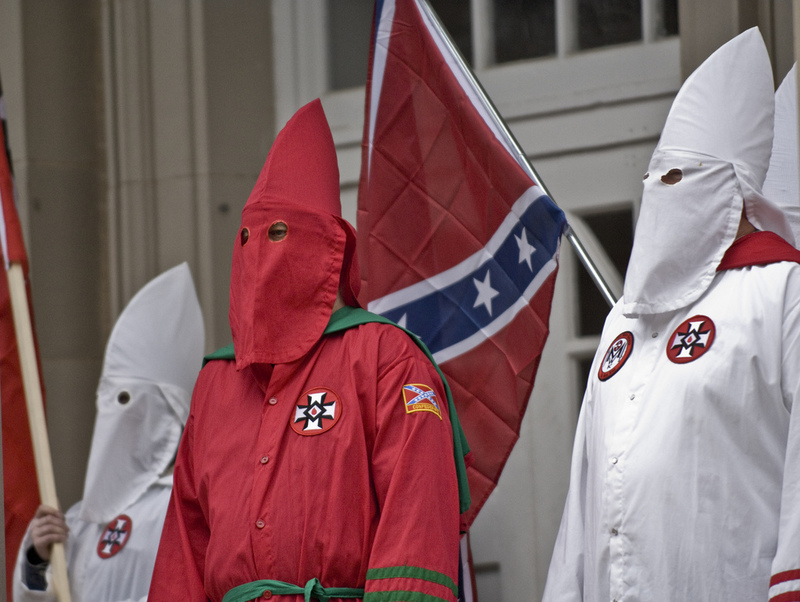 For example, the Klu Klux Klan began a recruitment drive following the recent Charleston terror attack. The most important lesson you learn is that it’s dangerous to live and work in a war zone… Let’s take a quick look at where these attacks occurred (in order of body count): Afghanistan (10), Israeli occupied territories/ Jerusalem(5); “Idlib” Syria (4); Somalia (3); UAE (1) and Egypt (1). There probably isn’t much your government can or should do to keep you safe as 1) it’s a war zone 2) sovereignty – as a private US citizen, your safety is ultimately the responsibility of the host government. A review of the specific cases bears out the point. The first thing we can see is that predictably, the highest number of “private” US citizens killed abroad is in Afghanistan – a country where in addition to the US military presence there are a considerable number of development projects, organizations engaged in relief and humanitarian work and, of course, journalists… Skipping over the number 2 deadliest place to be an American abroad in 2014 for a moment, lets go to #3 and #4 – like Afghanistan, the seven Americans who were killed in Syria and Somalia respectively were US expats working in what are unquestionably war zones. The dead in Syria are two journalists – James Foley and Stephen Sotloff, an aid worker Peter Kassig, an ambiguous case, and finally, perhaps, Kayla Mueller (it isn’t clear). The deaths in Somalia included a Somali American who was assisting in reconstruction. You can probably also determine that even in these war zones, your risk of dying in a terror attack is still remote. For example, if I come home in a body bag from Cairo, I am reasonably certain I don’t need Stata to tell me it will most likely be a result of my morning commute and not ISIL. When we turn “to the number 2 deadliest place to be an American in 2014 – Jerusalem and Hebron…” the definitions governments use begin to really unravel. The 5 Americans who died, including a 3 month old infant killed when a Palestinian drive his car into a train station, a teenager who was among the 3 kidnapped and subsequently murdered teenage settlers whose deaths led to the Gaza war, and the final three among the victims in a shooting at a Synagogue; were all dual citizens. In these cases, the Americanness of these victims was not relevant to their targeting. Around that same time other American citizens died or were severely injured pursuant to the [Gaza] conflict, but do not factor in the Americans killed by terror list. In the context of an on-going nationalist conflict – which, again doesn’t excuse it or reduce it’s impact, but reminds us of what and when terrorism is most common and how we conceived of it/ understood it pre-9/11 – as an act of political theater connected to a broader political or social conflict. It is also worth noting that four of those 5 deaths took place at a period in which there were intense clashes in Jerusalem over the temple mount/Haram al-Sharif compound and the first, was in the run up to last summer’s Gaza War. The imperfection of body counts Young observed becomes rather clear. Yet there is still more. Now we get to the interesting cases that, in my opinion, underscores the need for more precision in what is an act of terror, what is a hate crime, a crime crime, and what is someone who has gone off the rails – or some combination therein. First, the single American killed by terrorists in Egypt – Bill Henderson, was an oil worker who was reportedly killed by Sinai based insurgents died in what may well have been a car jacking without political motive. Second, there was some suggestion that there were grievances beyond the political in the case American teacher who was killed in a bathroom stall in the UAE. Some scuttlebutt – again unsubstantiated – was that the assailant was a) looney-tunes and b) had some personal grudge. The point is not that these two tragic murders of Americans were not terror attacks, but rather that it is far from clear that they were. Joseph Young’s 2012 post on the topic is of interest. With that, Hodgkins wraps up by bringing her comments back to the New America Foundation statistics. Our definition of terrorism, or rather the process in which terrorism was securitized after 9/11 has voided the term of any and all policy utility. Terrorism has essentially become any death undertaken by anyone with an agenda that has something to do with Islam. One of the many side effects of 9/11 is that we lost site of the fact that Al-Qaeda was really an anomaly as terrorist organizations go — the Americans who were killed abroad last year in terrorist attacks were, by and large, caught up in local and localized armed conflicts. In the majority of the cases, America was directly involved in the conflicts in which its citizens were targeted as Americans, or were citizens or nationals of the country in which the fighting was taking place. Those attacks which did take place “on the homeland” were almost indistinguishable from domestic terror, hate crimes or mass killings committed by individuals with their own “demons” or psychosis driving their paranoia or hate. Equating these acts with Al-Qaeda or even with ISIL or the hijackings of the 1970s is just plain bad for policy as they fundamentally have different origins, motivations, operational requirements, and impact even if they invoke some other groups ideology, insignias or theme songs. Does the fact that the Charleston shooter wore Rhodesia insignias imply he is connected to some dormant cell looking to restart the Rhodesian Bush war? ISIL is much closer to what terrorism has most consistently been and should continue to be recognized as such – acts of violence undertaken by non-state actors against civilian targets with a political, as opposed to a military, objective. I think we should further refine that definition to add even more specific parameters like being connected to a broader political or social conflict and having some institutional or organizational base. In this way, we can recognize terror for what it is, where it is, and focus on improving law enforcement so as to protect or prevent further criminal acts at home. To me, all of this demonstrates the political resistance to a more concerted focus on hate groups and right-wing extremists in the US. In 2009, Republican members of Congress forced Janet Napolitano (then DHS Secretary) not only to retract an official report detailing the fact that right-wing extremists were more dangerous to Americans than jihadists, but also demanded that she publicly apologize for daring to suggesting it. Napolitano’s critics called the report left-wing “propaganda,” despite the fact that it relied heavily on a 2008 FBI report commissioned during George W. Bush’s second term called “White Supremacist Recruitment of Military Personnel since 9/11.” Napolitano pulled the report and made the apologies. Yet here we are. To me, this episode merely highlights the politics of terrorism—and the way that the politics can interfere with and suppress optimal policies. How does Christian Davenport’s comment contribute to the discussion? Does it clarify issues, or obfuscate them? It is impossible to generate analytical insights in a category which is so broad that it encompasses the 9/11 attacks and the use of the death penalty. Calling them both “terrorism” is merely a normative argument, and does nothing to help the victims of any sort of violence. I am bewildered when I see how the media represented the lower number of fatalities of American citizens in overseas as a success story of the US counter-terrorism policies. This is a highly ethnocentric approach and, as well as, based on improper measurement of terrorism. First, we all know that many non-American people in over-seas serve for the US military, government, and companies. Taking into account only citizens and ignoring these people working for American interests seems to me problematic approach. For instance, a 2013 suicide attack against the US embassy in Ankara killed a security guard and wounded three other. None of them were American citizens, but working for American embassy. Similarly, three police officers died in attack on the US Consulate in Istanbul in 2008, non of the victims were American citizens, but police officers were the one who were guarding the US consulate. In conflict regions,such as Iraq and Afghanistan, I believe there are more casualties of non-Americans who are serving for the US military and government, but remained invisible in the media and open source terrorism accounts. Second, it seems that using death numbers or the number of fatal events are more valid and reliable measurement than using simply the number of events, since non-fatal events are less likely to find place in the media. My concern is that we miss so much information when we only focus on number of deaths. How about attacks against infrastructures, such as pipelines, oil refineries, which lead dramatic property and environmental damages? Also, we ignore most of hijackings and kidnappings since most of them ends up with no fatalities, but create of fear among public. Finally, I believe that there is a need to split the term of terrorism to have similar events grouped and have a simpler pattern and commonalities to get rid of noises to have a better understanding of terrorism and to implement better policies. However, the GTD has broad terrorism definition and selection criteria. There is a need for a thorough and in dept inquiry before using the data. Accepting all events recorded in the GTD as terrorism without any scrutiny is a most common mistake among terrorism researchers. There are several incidents in the GTD that do not meet most of terrorism definitons, such as political assassinations, other criminal attacks with no political aspirations.